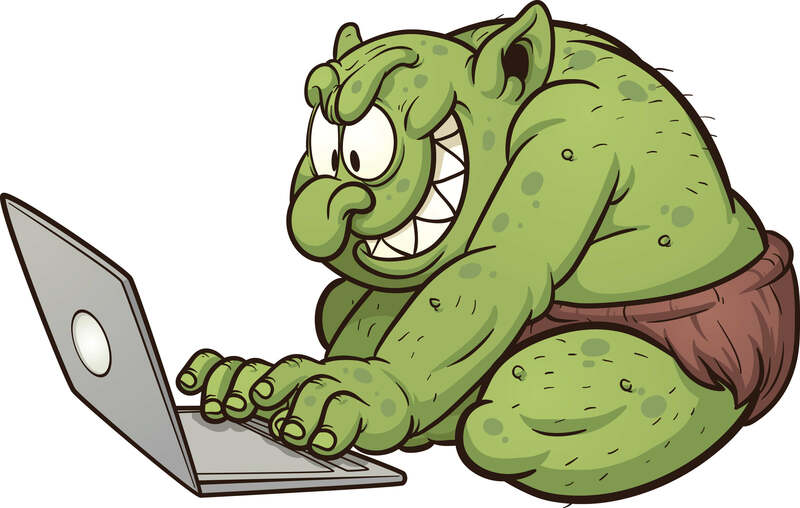 Bloggers note: Troll loves to crawl out from under his bridge and no one is immune from his satirical attacks! He will react to the news and give his award-winning commentary. We are all stunned “Aunt Becky”–who by the way is a (pound) #metoo member in Troll’s eyes–was involved in purchasing college admission for her otherwise unqualified daughter. It must be horrible your daughter couldn’t use her looks to get into school and needed your cash to be popular. Uncle Jesse: This slicked-back hair looking Fonzi wannabe would have been my first guess, he looks like he is so dirty you would have to take a shower after dealing with him. However, his being married to Aunt Becky makes him an accomplice. Bob Sagat: This guy is as pure as Aquafina, unless someone took a dump upstream, but no reason to suspect him. Uncle Joey: That dude was always coked-out on something every show he was on. Making weird noises and voices, and the kids all loved him, I would have suspected him honestly. Kimmy Gibbler: no chance, but she trolled as hard as I did the entire show, so yeah, I guess you better include her. Colorado’s attorney general testified last week that county sheriffs vowing not to enforce the state’s proposed anti-gun “red flag” bill should “resign” — a challenge that threatened to ramp up tensions between state officials and local leaders who were already creating droves of so-called Second Amendment “sanctuary counties” to resist the legislation. Troll says: This clown AG Phil Weiser should be the poster boy for why expectant mothers should refrain from using alcohol. I take that back, he looks like a hairline receding black haired Howdy Doody. By the way, the Troll is most offended by this comment: “If a sheriff cannot follow the law, he or she must resign.” How completely insensitive! How can you possibly assume the genders don’t include one of the other five! (72 if you believe Facebook). You racist, sexist, idiot! Thanks for mansplaining all this to me. Yes, disarming citizens is brilliant, you ignorant chump. Anyone want to take bets this useless human has armed security with him at all times? R. Kelly bailed out of jail for the second time accused of sexually assaulting minors. On Friday evening, hours after the charges were announced in a press conference by Cook County State’s Attorney Kim Foxx, Kelly turned himself in to Chicago police. On Saturday, Kelly attended bond court, where the judge set his bond at $1 million — or, $250,000 for each of the four alleged victims. EW has confirmed that on Monday evening, Kelly posted the $100,000 bail and left police custody. Per the Associated Press, a condition of his release is that he is forbidden from having any contact with females under the age of 18. Troll says: He was bailed out by a restaurant owner, is sausage on the menu there? Why didn’t this Kelly guy take up a job in the clergy? I believe this kind of behavior is a promotable offense! All the young boys your heart desires. I guess you could say he was keeping the spirit of Christmas going year-round? Tis far better to give then receive? Or perhaps he was just channeling his inner Michael Jackson. Editor’s note: I can’t tell if Troll was just trolling R. Kelly or getting him confused with the comments this week by Barbra Streisand. Streisand defended Michael Jackson like no one else. She also said, of Jackson, “His sexual needs were his sexual needs, coming from whatever childhood he has or whatever DNA he has,” she said. Tyson foods recalls 69,000 lbs of ready to eat chicken due to metal contamination. Tyson Foods has recalled 69,093 pounds of frozen, ready-to-eat chicken strips because the strips may contain metal fragments, according to the company and the Department of Agriculture Food Safety and Inspection Service (FSIS). Troll: Well if we need our children to eat a bit more iron, what better way than this? These bags of what is “allegedly” chicken and bits were produced 4 months ago…. what took so long? Also, the use by date is November this year? Are you telling me I can’t eat those chicken strips and I haven’t reached said date yet? Oh no!